The Encore has been a big hit for Buick since its introduction back in 2013. Due to its small city oriented size, interior luxury quality, and reasonable price, the Buick Encore has a lot of appeal for those who want a luxury oriented vehicle but without the bank bursting price. For the 2017 model year, the Buick Encore received a complete redesign to the exterior and interior. The exterior of the Buick Encore receives a bold new look that stands out from the overcrowded small SUV market. The most notable change is to the front with the signature LED daytime running lights and optional full LED headlights. The grille borrows its look from the Buick Avista concept and is a new design language that Buick vehicles of the future will adopt. There is also a Sport Touring edition available with unique 18” Midnight Silver alloy wheels, body-colour door handles, and a sport rear-wing spoiler. The interior of the Encore takes a lot of inspiration from its bigger brother, the Envision. Upgraded premium materials cover every surface and a new 8” touchscreen is the predominant feature of the center dashboard. Apple CarPlay and AndroidAuto are now compatible with the new Buick IntelliLink infotainment system and 4G LTE with Wifi are standard features on all Encores. Other standard features for the 2017 model year are keyless entry & start and 18” premium alloy wheels. 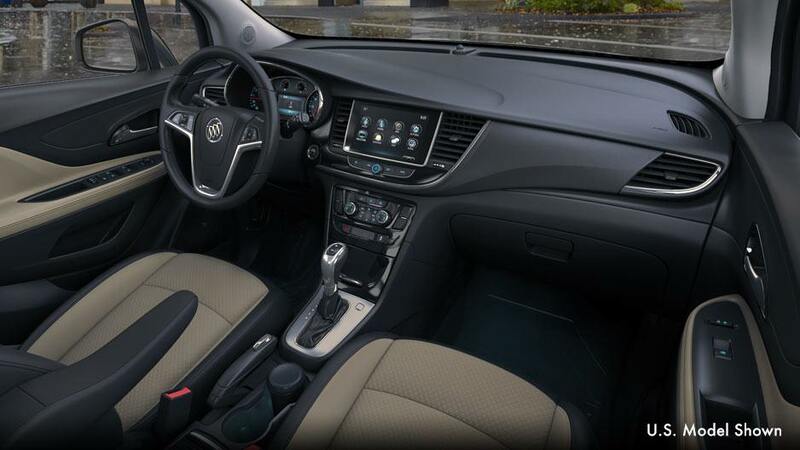 The interior of the new Encore is also much quieter than before thanks to Buick Quiet Tuning and Active Noise Cancellation. In addition, sound absorbing materials have been added in the engine compartment, headliner, and doors to further reduce unwanted noise from the outside environment. Like the previous generation of Encore, the new one is just as packed with safety and convenience technology. Starting with safety, it can be fitted with side blind zone alert, forward collision alert, lane departure warning, and rear cross traffic alert. 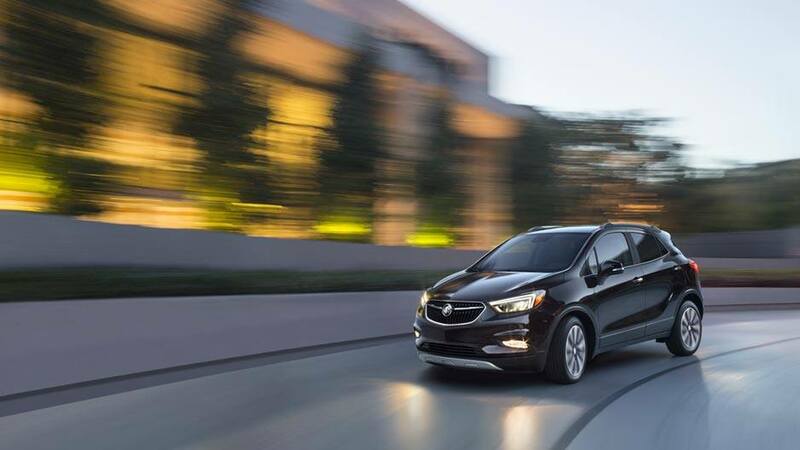 In terms of convenience, the Buick Encore has what you’d expect from a premium brand. Standard on the 2017 model year is keyless entry and push button start. You just have to leave the key in your pocket and forget about it. Other convenience options include heated seats and steering wheel, satellite navigation and radio, front and rear parking sensors, BOSE premium audio, Rainsense intermittent wipers, and a remote vehicle starter. But probably the best new feature of the 2017 Buick Encore is its new starting price. It starts at just $27,795 which is just over $5,000 less than the starting price of the previous generation Buick Encore.